Lindsell is a village and civil parish in the district of Uttlesford in the county of Essex. 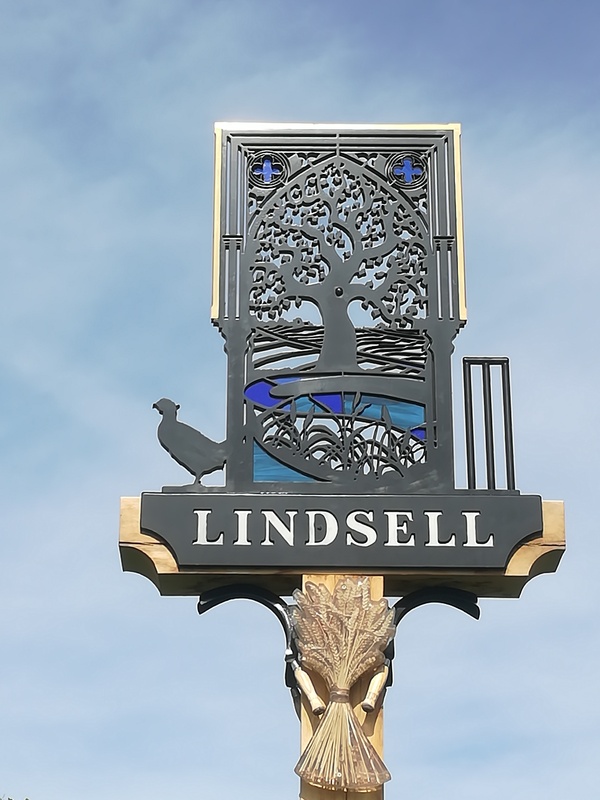 According to the 2011 Census, Lindsell had a population of 260 people. The number of houses in Lindsell has fluctuated since 1831, peaking in 1851 with 77 houses. The post-war housing boom after 1945 accounts for the sudden increase in houses from 53 in 1931, to 68 in 1951 and 71 in 1961. If anybody would like to expand this series please do. I would just ask that you let Smokeypugs know first so they can keep track of the Village Sign numbers and names to avoid duplication.